Find answers to the most common questions about using Roi's List. 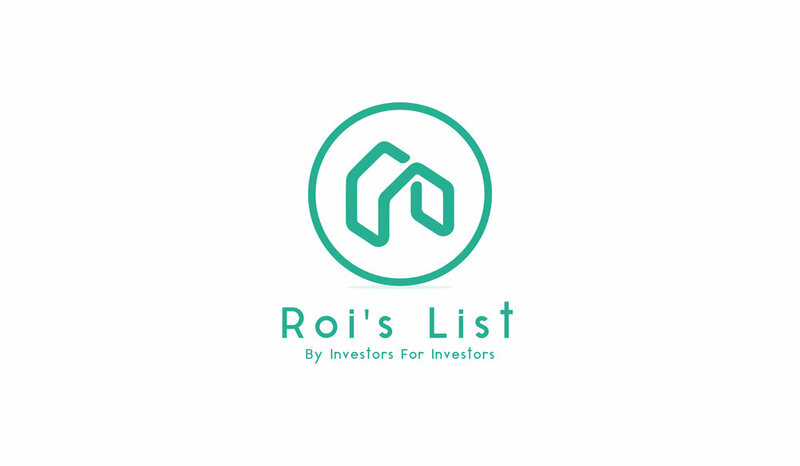 Roi’s List is the everyday essential tool used and needed by every modern day Real Estate Investor. Whether you’re just starting out or a big-time commercial mogul, it comprises all of your instant networking needs. Whether you are holding a contract that needs to be assigned, looking to build your Power Team, trying to meet other investors to create business opportunities, or simply looking for guidance in the field, all of this is at your fingertips with a simple tap. Networking has never been easier. Expand your blackbook instantly with other professional investors. Gain access to a pool of investors you’ve never had access to before. Find deals in minutes, not weeks, on Roi’s List. Build successful business relationships that will last a lifetime. It’s Like a REIA meeting in your pocket- whenever you need one! You must 18 years old to use Roi’s List. In your dashboard located on the left hand side, click the Edit Profile button. This may be the most important section of the app. Your profile is the space where you have a chance to tell other investors about yourself as an investor, and about your projects and areas of interest. Whether you’re looking for fix and flip projects, income properties to hold, or seeking another niche, investors will be able to search for you by keywords in your profile. Be as specific as possible as to who you are and what you’re interested in. Once written don’t forget to press the Save and Preview Profile button. Select the Edit Profile button, under your current photo, there will be a Choose Photo button. On the top of your List Feed there is a Search bar. You can filter other users and areas using keywords that match your specifications. Have a special deal in the works? Looking for introduce yourself to future partners? Boost your profile and get noticed faster. Easily let others know that you’re a serious investor that is busy closing deals to attract future offers and create new relationships. From the Settings button in your dashboard, you can adjust your search radius, let other investors know about a property you have under contract, link your Instagram account (great for networking and growing your business) and control your block list. At the very bottom of your Settings page, there is a button to permanently delete your account. You must hate making easy deals! Click here for instructions to unsubscribe. When you find somebody you want to talk to, you can click their picture in the List Feed to pull up their profile. From there, you can click the message bubble icon to send them a message. You can also click the message bubble icon directly from the List Feed screen. Once you have started a conversation, you can access it over to the right from your Inbox.. In you Inbox screen, simply hold down the individual Conversation cell until it is highlighted red. This will give you the option to delete the Conversation. In real life we shake hands with a person we introduce ourselves to, so why not extend those pleasantries to our digital selves? Remember, this is the start of a successful new business relationship. There is a button in your Dashboard over to the left where you can send your friends and colleagues an invitation to join Roi’s List. Share the wealth! On every user’s profile there is a button to block them. You can pull up their profile by clicking their picture in the List Feed, or at the top of your Conversation. Once you block them, they will no longer show up in your List Feed or Inbox, and they will no longer be able to see you. If you decide to unblock them, you can do so from your Settings screen, by clicking the Block List button and unblocking them from there. With the premium version you’ll enjoy an ad-free experience, you’ll have the ability to receive notifications of boosted users in your vicinity, and you’ll be delivered deals straight to your Inbox. You can always contact our Support Team using the Support button in your Dashboard. We love hearing your feedback and always welcome suggestions for how we can improve. Help us help you have the best experience possible using Roi’s List. Now go do some deals!